That Woody Allen quote cleverly sums up the feeling that many people have about death -- that we want to avoid it at any cost. And we don't want to talk about it. 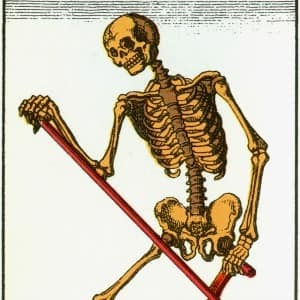 But death is a fact of life, so this week on How to Do It: The Guide to Things Your Hope You Never Need to Know Sarah Treleaven and Josh Bloch delve into questions about our mortality. We hear from a former Texas prison chaplain who accompanied 95 death row inmates to their execution, and visit a Death Cafe to talk about things we're not usually supposed to talk about. Plus, an answer to the question: When the time comes, what should you wear? Carroll Pickett discusses the emotional burden of bearing witness to almost 100 executions...and why he's come to believe that the death penalty is a cruel and unusual punishment. Pia Interlandi tells us what makes for a great-looking corpse. Comic Rebecca Kohler talks about dying onstage...and how it's not the end of the world, even if it feels like it. We visit the Death Cafe for insight into different attitudes towards mortality. Yale philosophy professor Shelly Kagan talks about what makes a good death.